On 31 January, Ouest France, a newspaper for western France, featured an article on CBM. 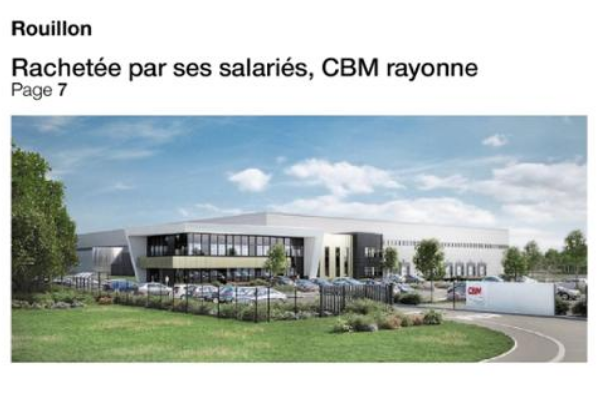 Titled Après un rachat par ses salariés, CBM rayonne [CBM Shines After an Employee Takeover], the article looks at the Group’s unusual history and success. It’s a brief rundown of what sets CBM apart as a specialist in replacement parts for coaches, buses and trams that’s majority-owned by its employees. Based on interviews with CBM team members and executives, the article looks back at the Group’s achievements since being acquired by its workforce in 2009. Our secret: CBM employees have faith in their company! In just 10 years CBM’s sales and workforce have doubled, and the Group has expanded its reach worldwide, thanks to the efficiency and commitment of its subsidiaries. Today, CBM posts sales of €126 million and is building new logistics facilities on 50,000 sq.m of land.